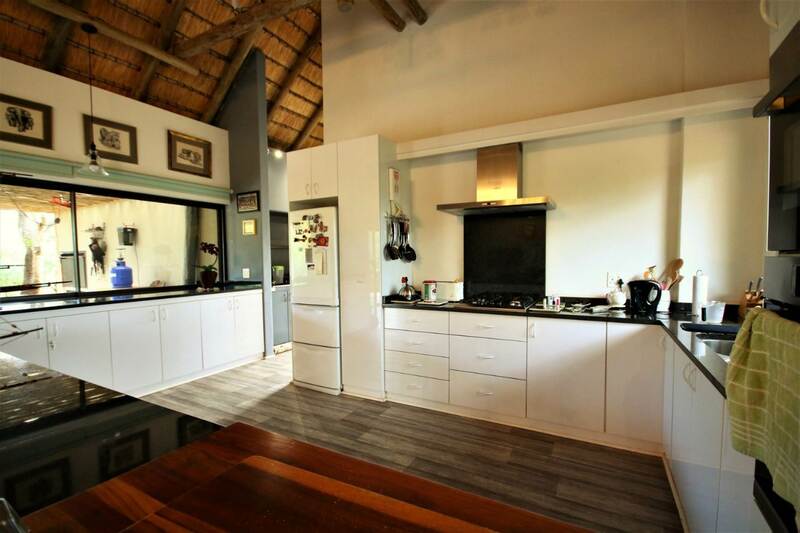 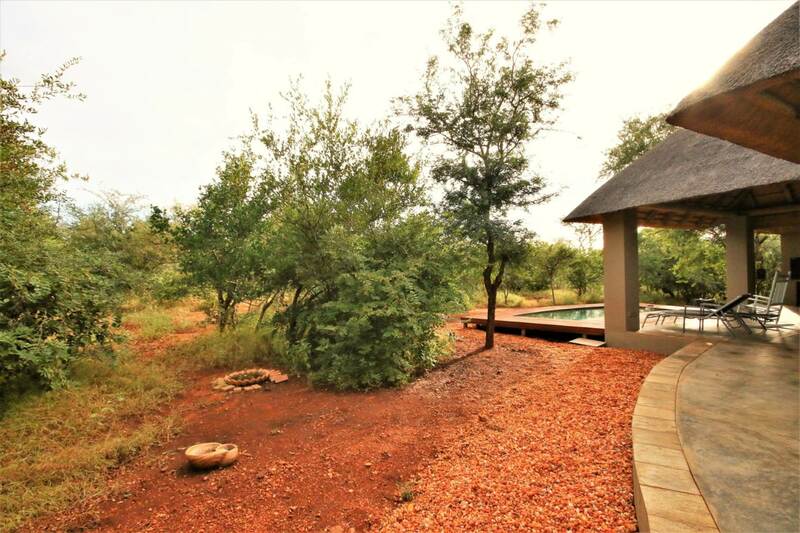 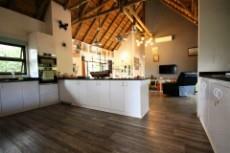 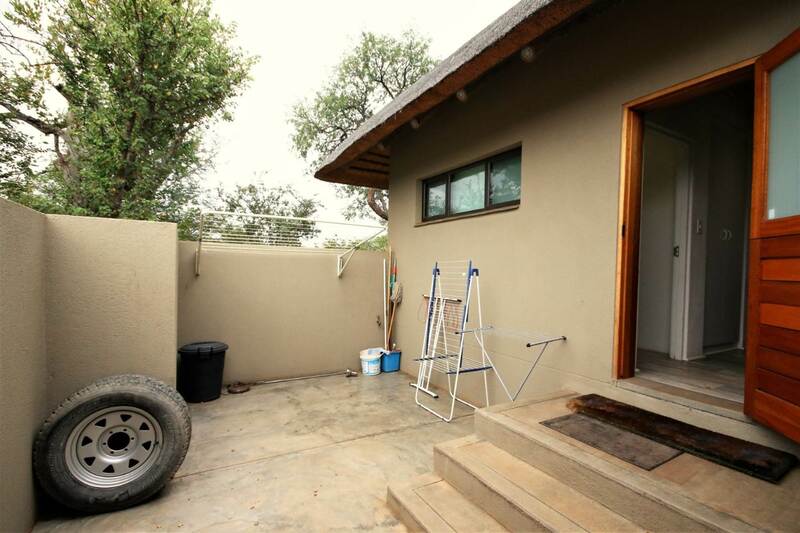 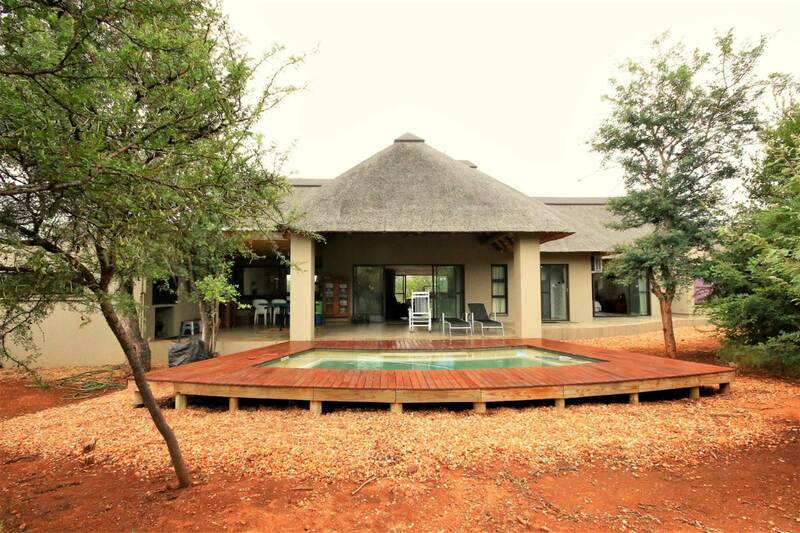 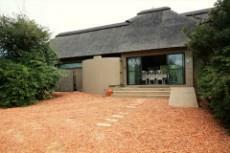 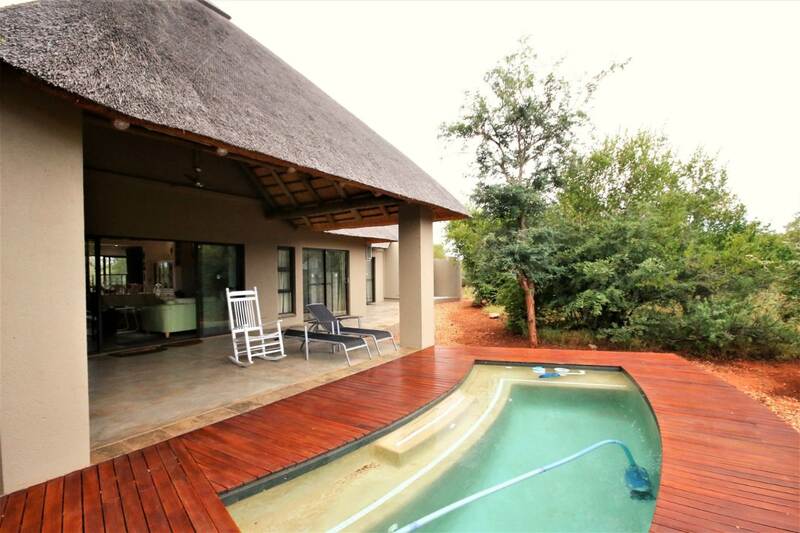 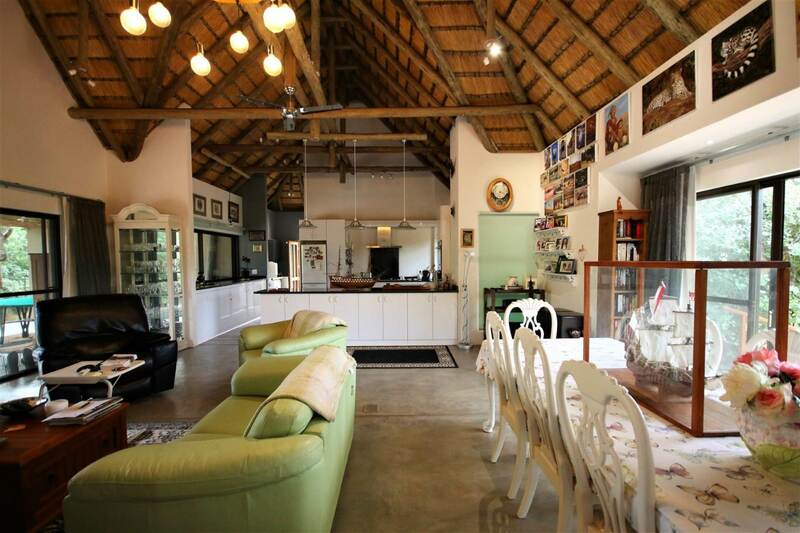 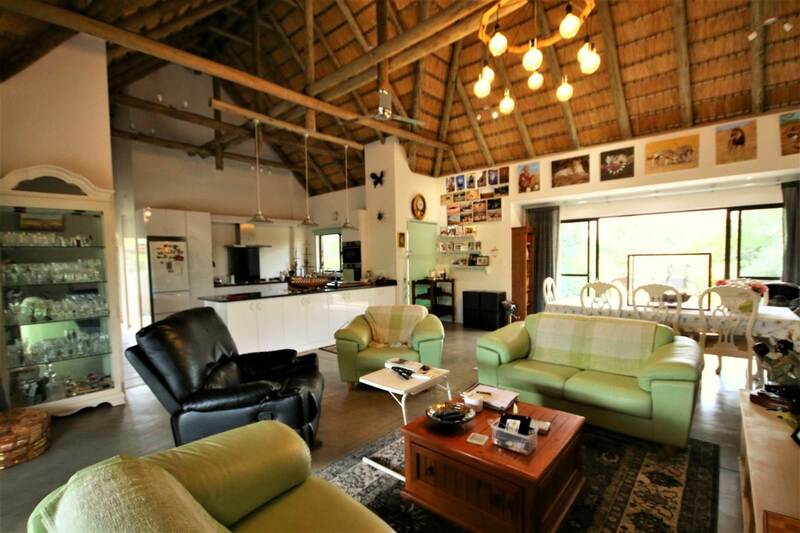 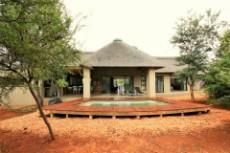 This 3-year-old home is set in a quiet location in Raptors View, with wonderful bushveld views. 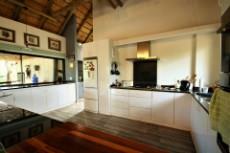 The spacious and light living area comprises kitchen, dining area and lounge. 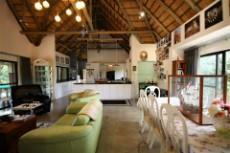 The area is well lit and has air conditioning. 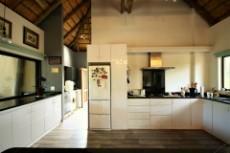 The kitchen features a large serving hatch, gas stove top, eye level oven and a pull up plug point. 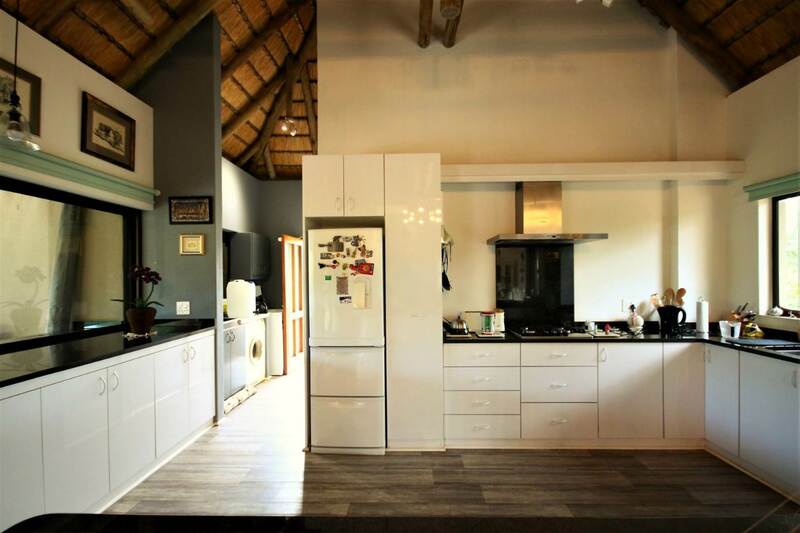 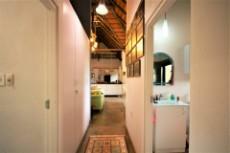 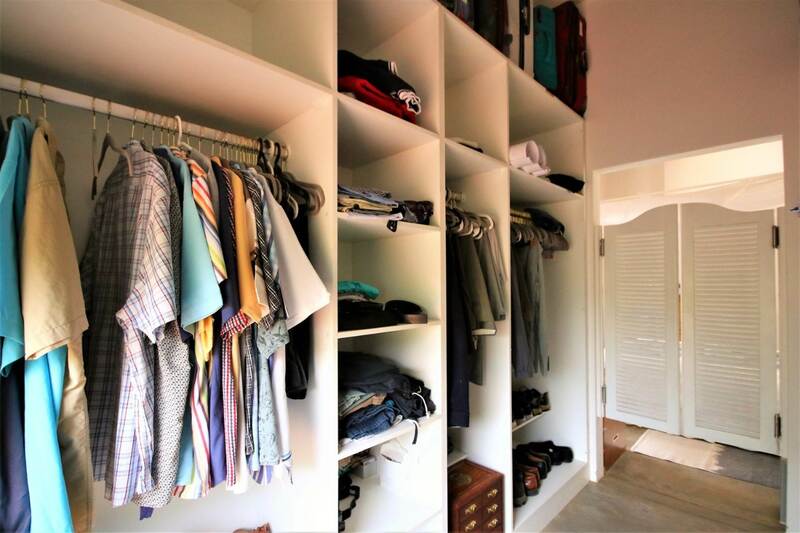 Off the kitchen, you’ll find a storeroom, pantry and scullery with space for appliances. 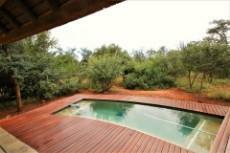 There are lovely views onto the patio, pool and bush from the lounge and kitchen area. The patio area can be accessed from the lounge or either of the bedrooms, via aluminium, meshed sliding doors. 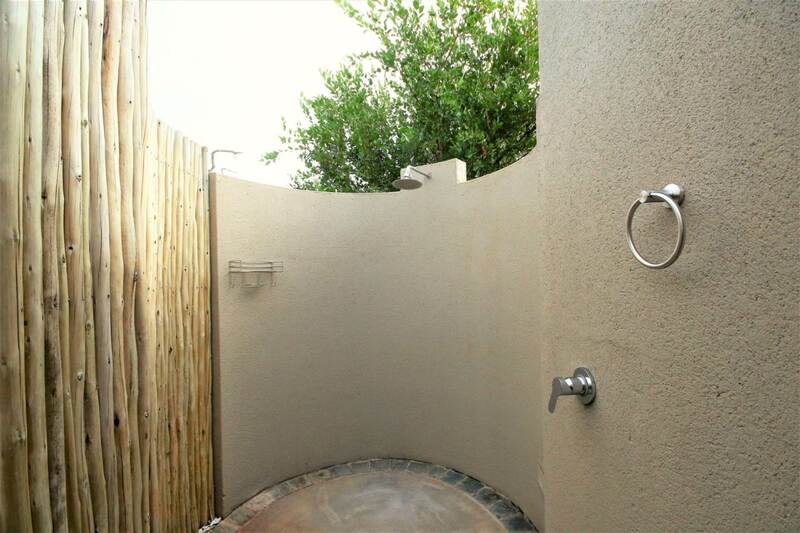 The patio is a lovely, large covered space with built in braai. 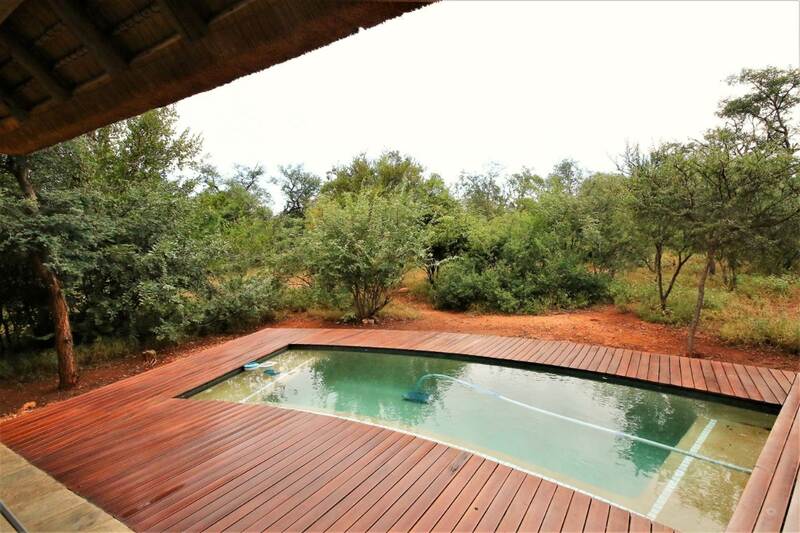 A wooden deck is built around the pool, and views onto the bush can be enjoyed from this area. 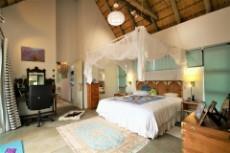 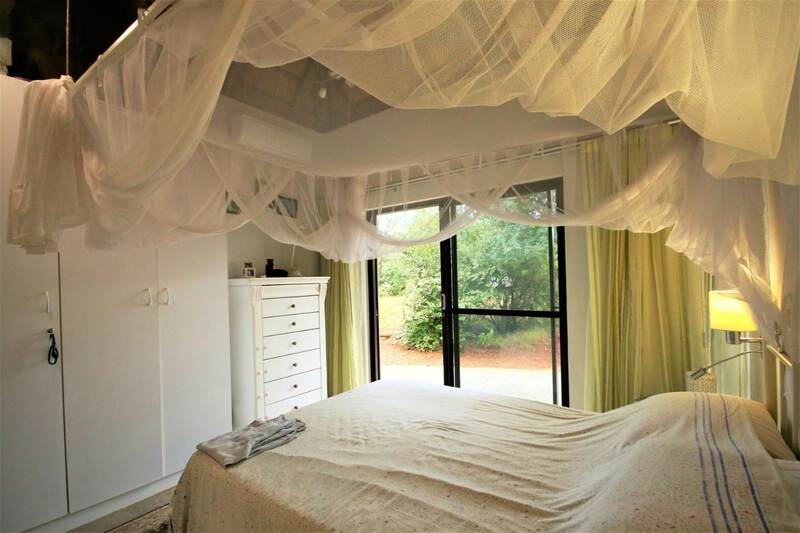 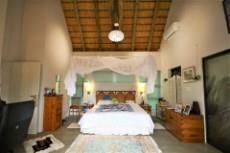 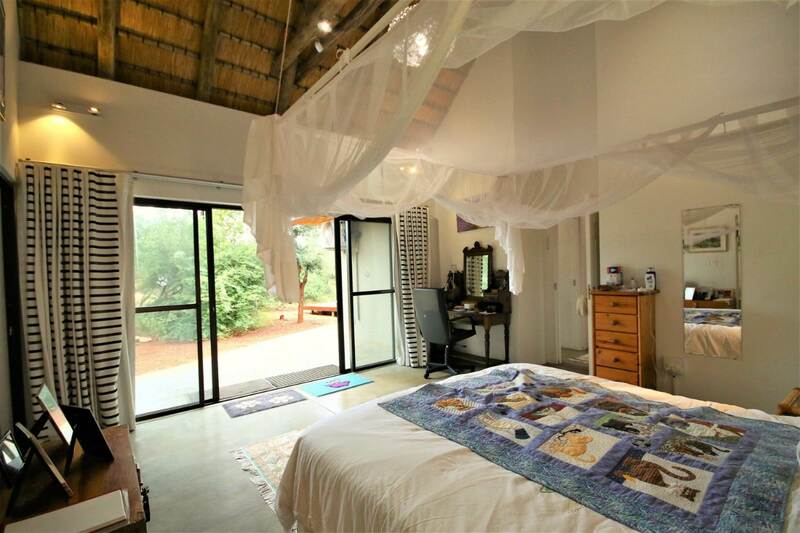 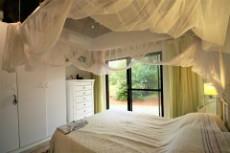 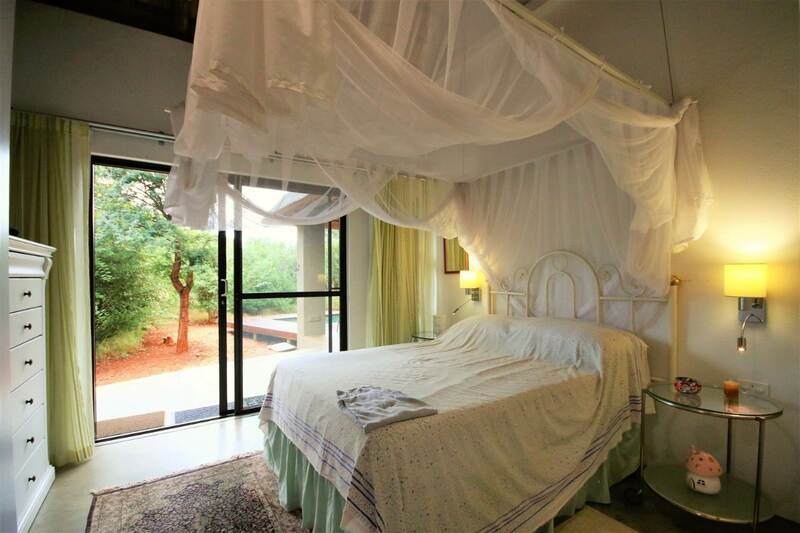 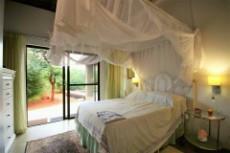 The main bedroom looks out onto the bushveld and is a large, bright and airy room. The bedroom features an air con and walk in dressing room. 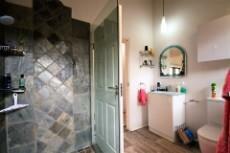 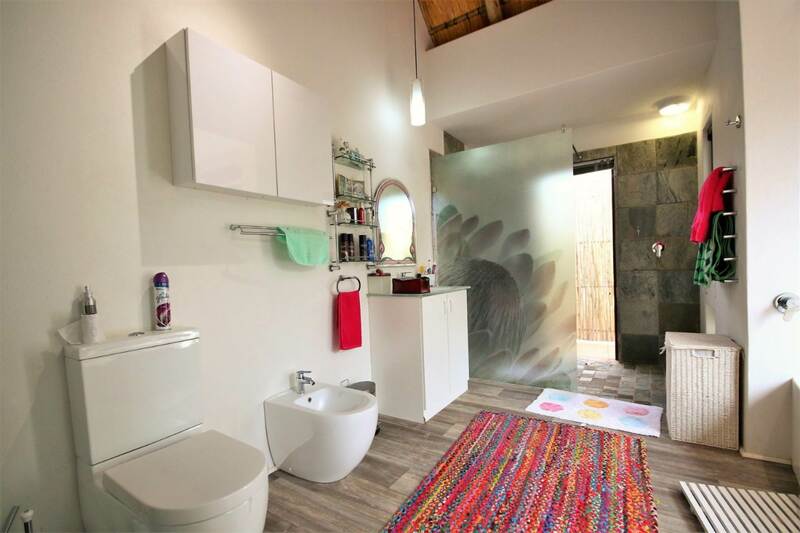 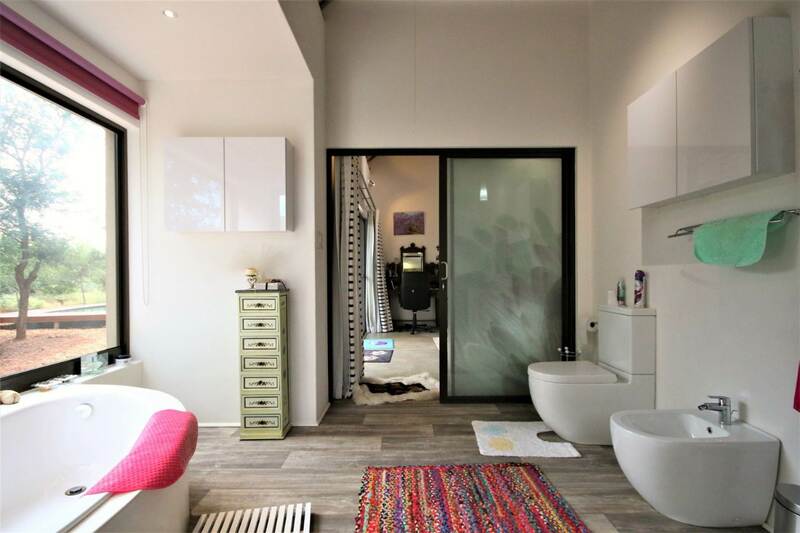 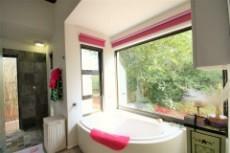 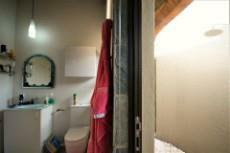 The beautiful en-suite bathroom comprises toilet, bidet and basin. The corner bath is set within beautiful big windows allowing a view to the beautiful surroundings. 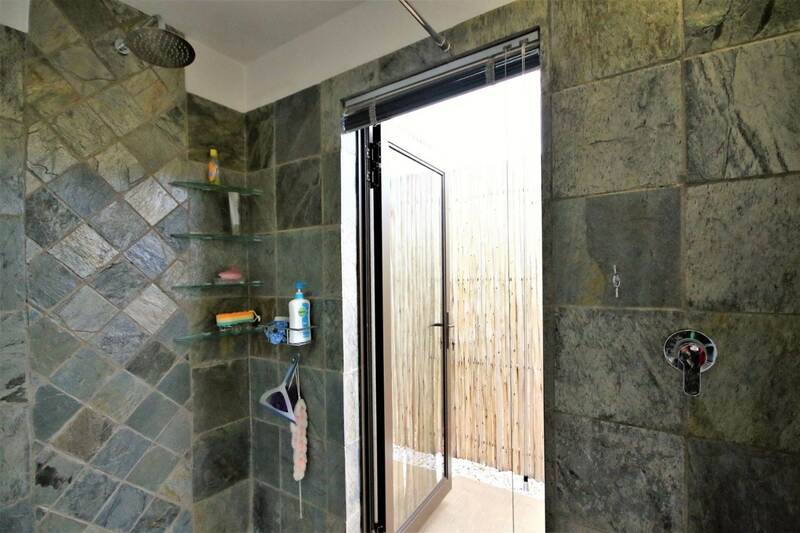 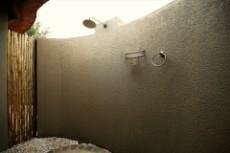 There is also an indoor and outdoor shower. 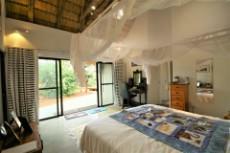 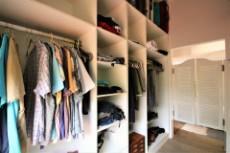 The second bedroom has built in cupboards and air con. 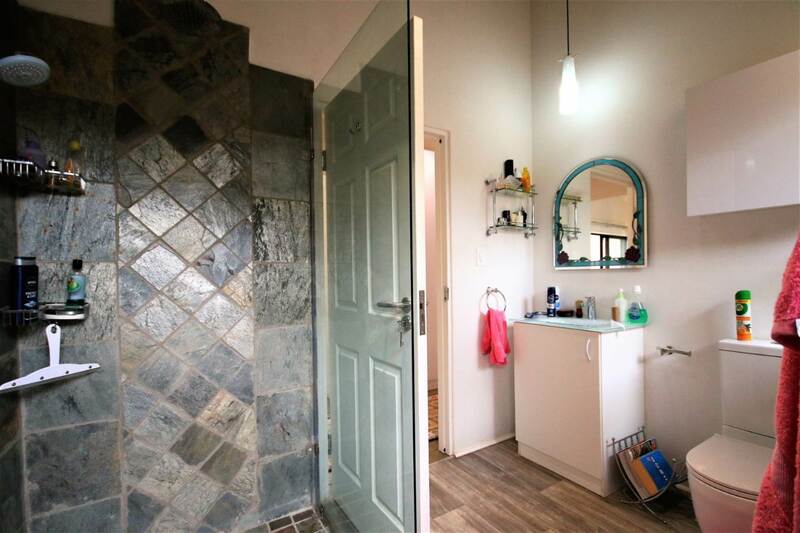 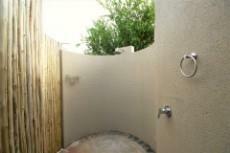 The separate bathroom comprises, toilet, basin, bath and indoor and outdoor showers. 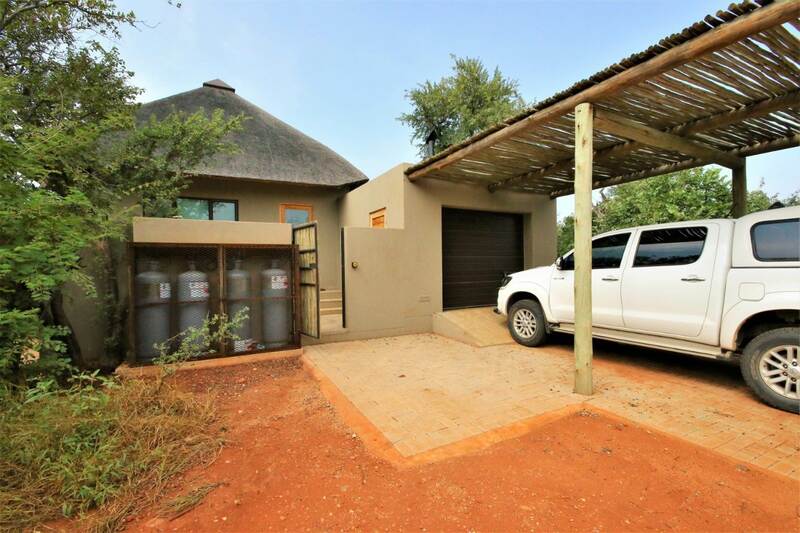 This lovely home also has a single carport and single garage, tucked away around the side of the house. An additional workspace has been built into the garage which is a definite plus! 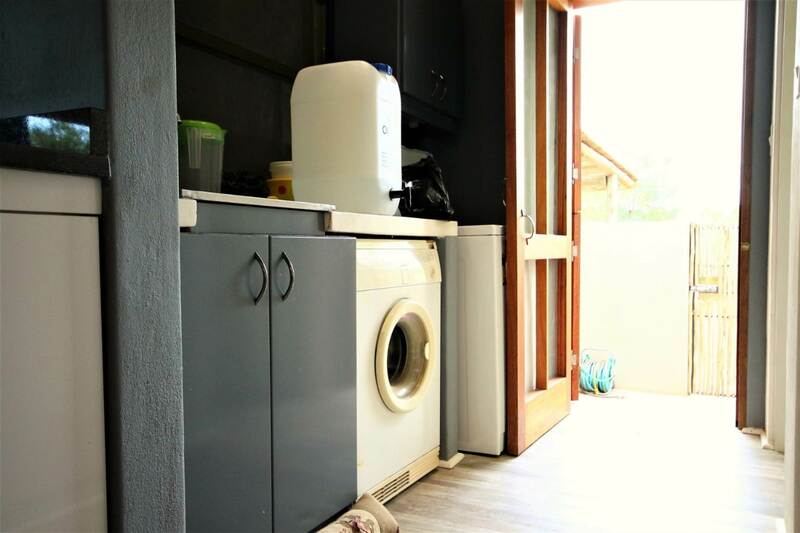 Walking from the garage into the courtyard, you’ll be able to access the scullery and kitchen, which is a convenient feature.